Saturday, December 6, 2014 – Bienvenue! Welcome! Welcome basket of amenities upon arrival, including an assortment of orange juice, milk, wine, cookies and other goodies! Comprehensive Paris Guide with apartment details and tons of information about Paris and your neighborhood, from local shops to our favorite restaurants and tours. Personal welcome by friendly, English-speaking greeters who introduce you to your luxury apartment, showing you how everything works and ensuring you are comfortable. 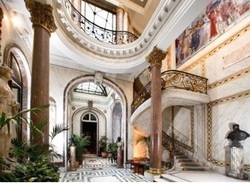 Paris Perfect Guest Welcome Center open 7 days per week. This is the only holiday apartment company in Paris with guest offices where you can drop off your luggage, print boarding passes, receive deliveries and get friendly advice. Should you encounter any problems during your stay, our office is there to help! Starter supplies of dishwasher and laundry soaps, paper towels, etc. Check in time for your apartment is in the afternoon, so you will be invited to store your luggage in the Paris Perfect office until your luxury apartment is ready. We will point out a few options for a quick lunch in the neighborhood. Once you have settled into the apartment, we offer a brief orientation walk through your neighborhood where we will point out all the essentials of daily living: boulangeries, ATMs, favorite cafés, bus & Metro stops, grocery stores, churches, gift shops, wine shops, florists, etc. You might want to pick up a small bouquet of flowers to adorn your apartment during the week…so lovely to come home to after a busy day sightseeing. 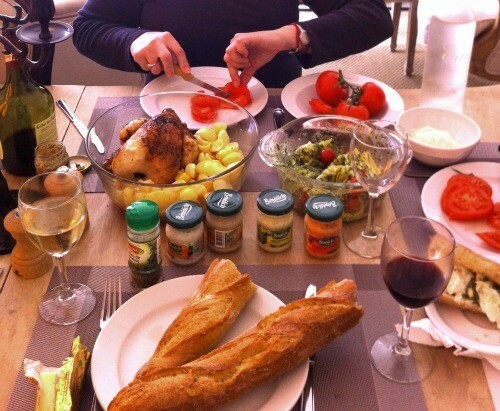 After our walk, we suggest you stop by the grocery store to purchase essentials for your Paris Perfect kitchen, as most grocery stores will be closed on Sunday. Dinner on your own, or sleep early as you wish. We will recommend several spots in the neighborhood. 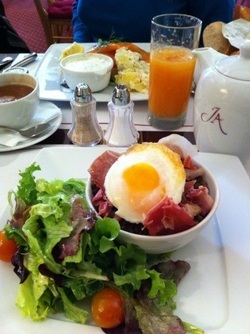 We will travel together by public bus to enjoy a delicious brunch in the most beautiful tea room in Paris – the Café inside the Jacquemart André Museum. 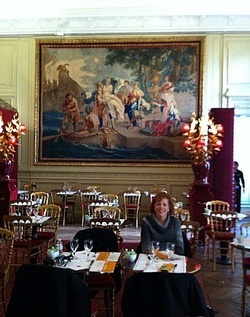 Enjoy your brunch while surrounded by exquisite Belgian tapestries and Tiepolo frescoes. After brunch, we take an hour or so to visit the former private mansion of renowned art collectors Eduard André and Nélie Jacquemart. They amassed a stunning collection of Dutch, French, English, Italian and Renaissance masterpieces, and upon Eduard’s death, Nélie donated the entire collection to the city of Paris. We will also see the private apartments of Nélie and Eduard, along with the twin marble staircases and stunning living areas. Next we travel by Metro to the bustling Marais district to begin a walking tour of the best shopping, strolling and people-watching neighborhood in Paris. The Marais is the place to be on Sunday afternoons. 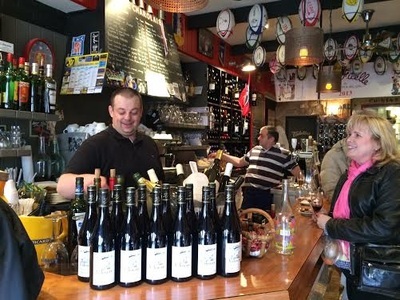 This is the old Jewish quartier, and many shops and restaurants observe the Sabbath...they are closed on Saturdays, but open and thriving on Sundays. Our first stop is in the historic and beautiful Place des Vosges, with a visit to the former home of Paris’ beloved author, Victor Hugo. Tour Hugo’s home and see his family’s collection of furniture and artifacts. This is where he began writing Les Miserables, which would take him 12 years to finish. Admission and audio guide included. 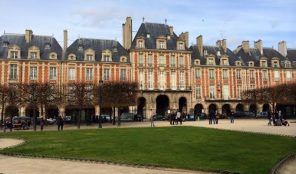 Next, we crisscross Place des Vosges and continue our walk deep into the heart of the Marais, with its cobblestone pedestrian streets, boutiques, art galleries and street musicians on every corner. We will visit the historic Jewish quartier around rue des Rosiers, and point out some great stops for dinner when you are hungry later. Here is an example of the street performers and entertainment you'll find on Sunday afternoons in the Marais! 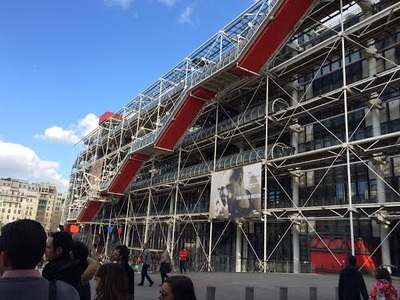 We continue our walk to the Pompidou modern art museum, with its colorful, whimsical fountains, and then finish our walk at the Hotel du Ville, the city hall of Paris, with its beautiful façade and ice skating rink set up for the holidays. You are free to stroll back into the Marais for dinner on your own. Morning – Rue Cler market walk - We take a walk down the famous Rue Cler market street where Parisians have been doing their shopping for decades. 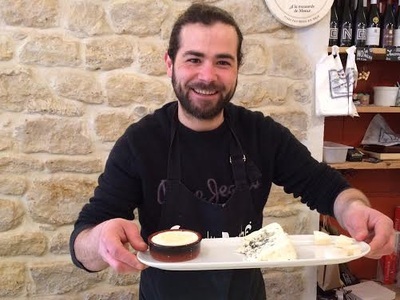 We will point out the best green grocers, butcher shops, cheese shops, chocolatiers, and more. Some stores may be closed on Mondays, but we’ll be glad to bring you back if you want to visit again later in the week. Rest of the day - Free day to explore Paris on your own. We will be glad to make recommendations for you and direct you. How about a spa treatment or massage at the Spa L’Occitane? Read about Chandler's experience at the Spa L'Occitane here. You will need to reserve your appointment in advance. Let us know if you’re interested, and we will help make the booking for you. How about shopping in St. Germain des Pres? 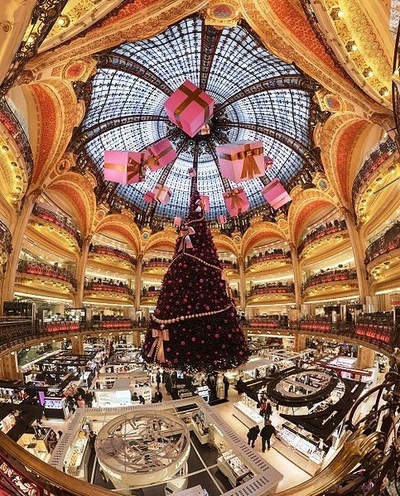 Home to Bon Marche department store & Grand Epicerie, you’ll find many stylish boutiques in the neighborhood as well. 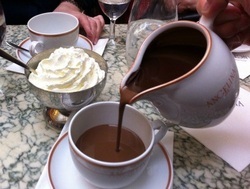 Stop in the afternoon for coffee or hot chocolate at Café Flore, the most famous café in Paris. Or maybe you want to climb the iconic Eiffel Tower? We can help you book a “Skip the Line” pass. Early this evening we will travel as a group to visit the charming Marche de Noel Christmas market along the Champs Elysees. Enjoy the magical Christmas lights along the Champs, and visit the little wooden chalets with vendors selling vin chaud, roasted chestnuts, marzipan and all kinds of holiday treats and unique gift items. Dinner on your own, and we'll be glad to make recommendations! 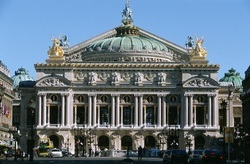 We travel together on the #42 Bus to the gorgeous Opera Garnier. As the most recognizable opera house in the world and a very prominent Parisian monument, the Opera is known for its ornate architecture, including its auditorium ceiling, which was painted by artist Marc Chagall. Your ticket includes access to the Opera Library Museum, permanent collection, set models, Subscribers' Rotunda and Pythias Fountain, grand staircase, grand foyer, vestibule, Moon Room, Sun Room, Ice Rotunda and tapestries. Admission to the auditorium could be restricted if rehearsals are under way...but we will keep our fingers crossed! Audio guide included. 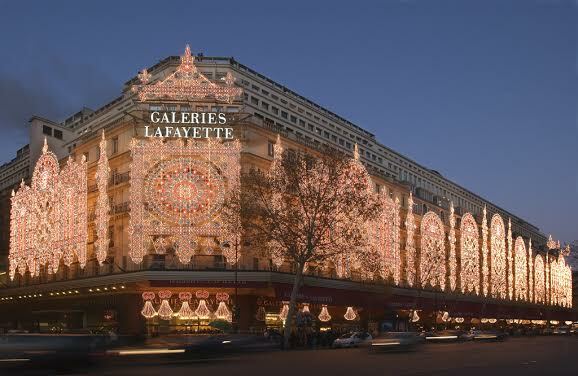 Next we are off to view the gorgeous and much-anticipated holiday window displays at Galeries Lafayette and Printemps department stores. 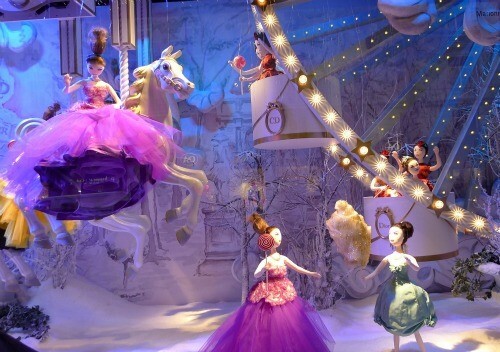 These decorated windows are holiday classics, as each store tries to outdo the other with animated themes and fairytale displays. Head into Galeries Lafayette to admire the gorgeous center rotunda, decorated for the holidays. Rest of the day free to enjoy shopping and dinner on your own. We will show you where the bus line #42 will pick you up to return you to your neighborhood. 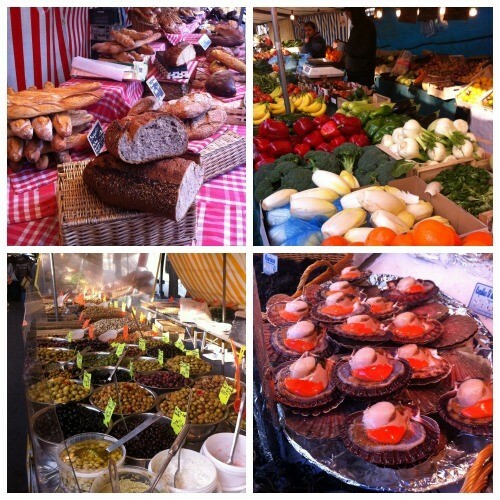 Around 10:00 am we will cross over the Seine to the Right Bank to visit the President Wilson market, one of the best open air markets in Paris. French markets are a way of life. More than just a place to buy food, markets are a social gathering. Parisians have favorite vendors they visit regularly and catch up on each other’s lives. Ogle all the beautiful fresh seafood, produce, fruit, bread, cheeses, roasting chickens, homemade pastas and so much more. Choose your favorite provisions for a delicious lunch back in your apartment. This is one of the joys of renting an apartment - not to be missed! And no major cooking is required. Many items are already prepared a emporter - to go! Afternoon free to explore or relax. We will be glad to pre-book any optional tours you may want. Free day to explore on your own, and we will help guide you and pre-book optional tours of your choice. 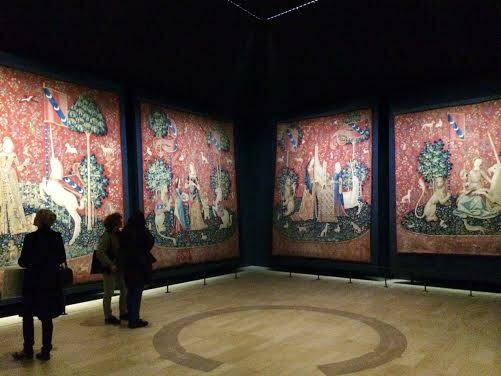 How about taking advantage of the 2 day Paris Museum Pass to visit some of the grand museums on Thursday and Friday? 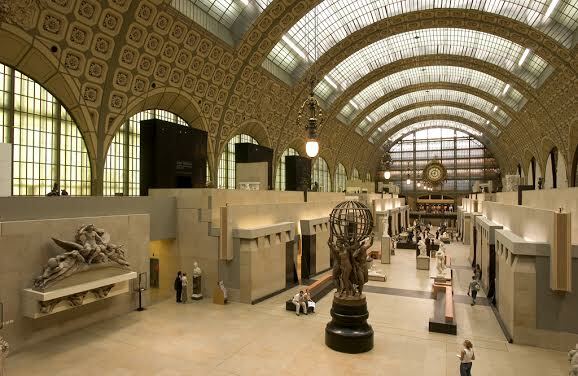 Admission to the Louvre, d'Orsay, Orangerie, the Cluny, Pompidou, Rodin, St. Chapelle and many more are all included in the Paris Museum Pass. Pre-order in advance and we will have the passes waiting for you when you arrive in Paris. Skip the lines at most major museums, and feel free to take in as many as you care to see. Chandler and I actually visited 7 museums in a day and a half - we don't recommend you try this, but it is possible! Perhaps a trip to Versailles, the most extravagant palace in the world, former home to Marie Antoinette? General admission is also included in the Paris Museum Pass. Allow at least 1/2 day. Or consider a behind the scenes tour of a renowned Paris boulangerie to learn all the baker’s secrets to making the perfect baguette and pastry. Maybe you would like to try your hand at a cooking class? Dinner on your own....we can help you make advance reservations. Final day in Paris to explore as you wish. Your 5 day Paris Visite metro/bus pass will have expired, so you will need to purchase individual tickets for today’s transportation. You could continue day 2 of your Paris Museum Pass, visiting the greatest collections of art in the world. Or maybe you’d like to try a wine and cheese tasting class, or finish some holiday shopping. The choice is yours, and we will be glad to help with recommendations. We gather tonight for a farewell dinner and toast of Joyeux Noël et Bonne Année to all. Sadly, the clock has struck midnight and the fairy tale ends. Your driver awaits for your return to the airport. 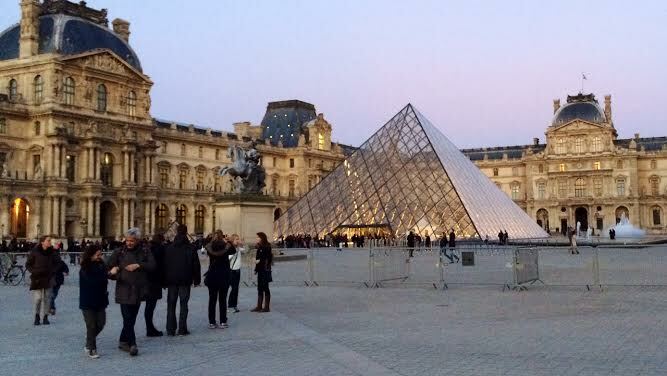 Enjoy your treasures and memories as we bid au revoir to Paris! Thank you for joining us, and we hope to see you again on a future tour.